Turn heads with this fantasy favorite! Solid pewter construction with black nylon cord. Measures 2 in. tall. 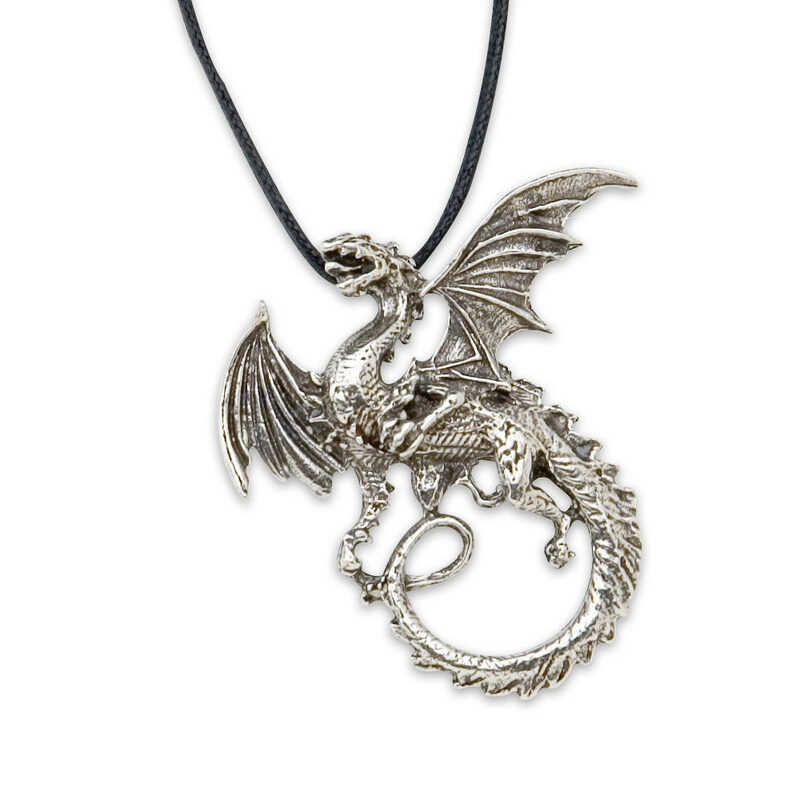 i bought this same dragon necklace at a flea market named peddlers mall, same price same everything with the hidden blade in the bottom it was great, good by but you'll have to get another necklace mine broke there's also a cross bone one i currently have. Editor's Note: Thank you for your comments. We have updated the review to reflect the appropriate spelling.